Have you found an online vendor selling Banks 7 Golden Age? 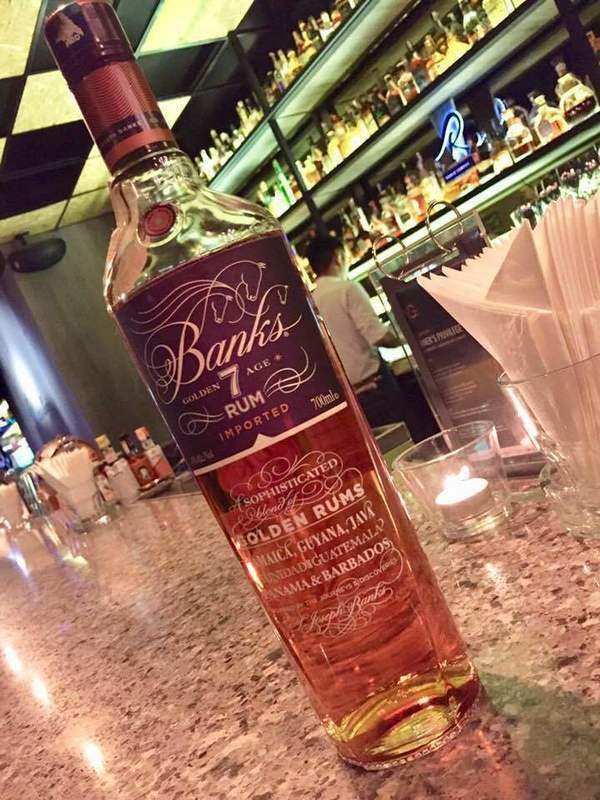 Banks 7 Golden Age rum is created from a combination of 23 rums from around the world, including Panama, Barbados, Trinidad, and others. The rums are aged between 1-7 years in ex-Bourbon casks. The Banks name is derived from explorer Sir Joseph Banks, who sailed with the famous Captain James Cook in the 1700s. I have been a fan of the 5 islands (white) rum for a while, this was pretty much what I expected with some aged components blended in. Again the Batavia arrack component lands a degree of funkiness that makes this one unique. Dry and spicey, with a good deal of clove flavor I have found in some other blended rums such as Scarlet ibis. Pepper, oak, some hogo, dry; overall a good balance. Not impressed. Had a very 'alcohol-ee' smell upon the first smell. I took an initial sip and found it had a lot burn. I let it sit for about 30 minutes and no change. I'd definitely use this as a mixer though. Great complexity on the nose as it changes from time to time and reminds me of quite a number of rums. Butterscotch, Salted caramel, toffee and with lots of sweets spices. Mild sour berries and unripe mango. The let down will be the slight burn on nose with strong ethanol. Sweets spices on the first sip: vanilla, anise and woody. Dried apricot, unripe peach and light touch of funk towards the end. Finish of chocolate bar with dried raisins and macadamia nuts. Alcohol tends to be on the strong side which numb the tongue altough it's bottled at 43% abv. It looks like the Jamaican portion of this rum from multiple islands dominates. 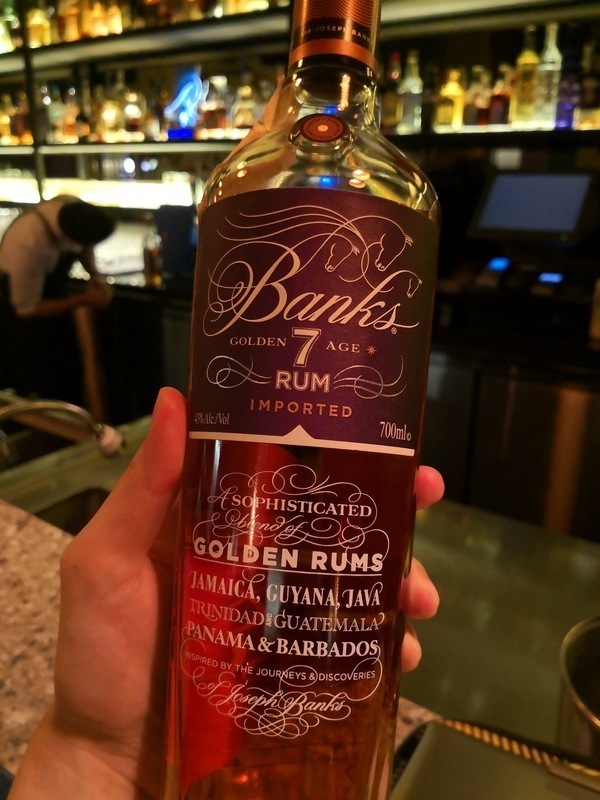 It tasted so much like Hamilton's Jamaican Pot Still Gold that I already have back at home, so why pick up an entire bottle of this when I am in Texas in a few weeks? I tasted one glass neat this evening at my favorite Tiki Bar called Latitude 29 by Beachbum Berry. I already knew that this is one of his staple mixers, and it would do a fine job at that. Sipping it neat was not offensive, but it felt like a rerun from Hamilton. 43% ABV. Pleasant, slightly harsh nose. Hint of Jamaican funk. This follows into the palate. There's also a good amount of brine. The addition of Panama, Java, and Guatemala (compared to the 5-Island) makes it richer, rounder, and a little sweeter on the nose—caramel, vanilla. Shortish finish. This would be a fantastic "gold" mixing rum. It's got a little of everything. Maybe just a tad too sweet. It may be an 8-, but I'm docking it for price (it's very good, but not a very good value) and misleading label. What the heck does that big 7 mean, anyway? (Presumably it's the number of countries represented, but the average consumer may be forgiven for assuming it was an age statement. Buyer beware.) Here's hoping future iterations will be a little stronger, cheaper, or offer more transparency. The first smell was unimpressive with little aging and a bourbon note. The taste is better without much burn ,but a short spicey finish left this rum was disappointing. Dry and spicy, not too sweet. Not my favorite, but i don't mind sipping it. Smells and tastes of molasses, oak, spice (pepper), and walnuts. A bit dry, but still has a touch of sweetness. A very good rum, especially for a gold rum. Ce super rhum qui assemble avec brio 7 cask differents.ce qui ressort c la puissance en gout de la barbade et jamaisue avec un truc en plus.tres bien pour les collectionneurs.et en plus 40 euros c pas cher pour cette qualite.note 8.1.
this blend compared to the 5 is not so heavy on the batavia arrack. It's not a bad sipper at all. The 5 is probably better for mixing as it is a tad funkier. I love this rum straight up, but I imagine it would make high-end cocktails really shine. A solid top-shelf choice. Yum. Delicious. Worth the big hype, a well balanced rum of high value, drink this with respect. Mellow, toffee, sweet, a hint of wood and a little bit spicy, it tastes wonderful. It`s a rum that is easy to drink.